An RSPCA report, Ten Ideas in 10 Years – has been released as the charity recognises local authorities for pioneering initiatives to improve animal welfare through its PawPrints Awards. 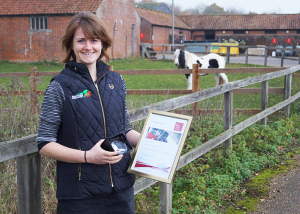 Andie Vilela, Education and Campaigns Manager (pictured), said: “One of the really powerful aspects of the project has been to give a voice to responsible horse owners within a community not often heard. 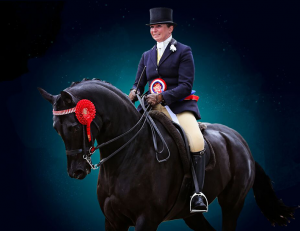 High Flyers, the prestigious new horse show coming to the East of England Arena and Events Centre in Peterborough next year, has announced exciting prizes for the High Flyers Christmas Draw, which is now open to enter. The star prize is a private viewing box on the Saturday of the show, the winner plus five guests will enjoy the show from one of the Arena’s VIP Pods, VIP parking for 3 vehicles, a complimentary of glass of Prosecco, and tea and coffee all day. The runner up will receive an exclusive hamper of goodies plus two for the day of their tickets choice. High Flyers will be at the East of England Arena from March 15th to March 17th 2019, showcasing a range of competitive showing classes, and brand new championships for young sports horses. The first ever SEIB Insurance Brokers Search for a Star Mountain and Moorland Championship took place at Your Horse Live at Stoneleigh Park on the 9thNovember. 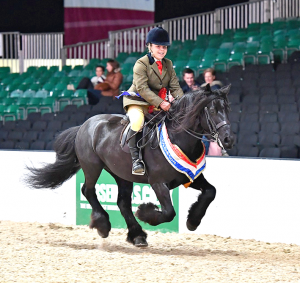 Chantelle Chapman from Manningtree, riding her mother Victoria Oliver’s Fell pony, Greenholme Falcon took this brand-new title in the BETA arena at Your Horse Live in front of an enthusiastic audience. SEIB Insurance Brokers have set up the new Search for a Star Mountain and Moorland championship with the help of Your Horse Live to create more opportunities for amateur riders at a national championship level. The ‘must watch’ programme of the year on Horse & Country TV – the Omega Equine All Star Academy – is set to have you crying, laughing and wanting more! 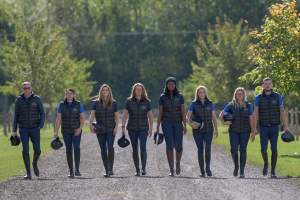 This five-part, hit equestrian reality TV show premieres on 25th November at 9pm and is the channel’s biggest and most anticipated event of the year. 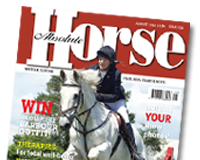 Starring eight wannabe academy students the hour long programmes provide warts and all action as they strive to impress the celebrity judges and instructors during their stay with Pammy Hutton at the legendary Talland School of Equitation in Gloucestershire. The contestants, six female and two male, will undertake a battle-royal as they do everything in their power to be the third winner of the prestigious title which includes the chance to co-present an episode of the channel’s Rudall’s Round-Up programme with well-known host, Jenny Rudall. Providing plenty of laughs, highs and lows along the way the Omega Equine All Star Academy is set to prove very entertaining and great viewing over the forthcoming weeks. The team include Tessa Halsall from Suffolk who bought her horse Hal as a gangly yearling hoping he would make 17hh, she says with a smile, he became an overgrown pony but certainly wouldn’t swap him for another! Guy Simmonds, a 30-year-old from West Wales, is a falconer by profession. He has been working hard to compete at BE90 level and his dream is to fly falcons from horseback. Debbie Day will partner her 16.3hh Clydesdale Farra, and after getting over a fractured pelvis a year ago is aiming at dressage and show jumping. Coloured mare, Remi belongs to Sophie Wratting and their four year partnership has come on in leaps and bounds thanks to being bold and not afraid to be different. Nikki Sinclair (35) is a geography teacher with two young boys who will partner her bay gelding Jake in the series. Student veterinary nurse Gabrielle Wheatley from Wiltshire and her seven-year-old mare, Fleur are currently focusing on show jumping, while Georgia Russell and Barney are now eventing after a set-back when she sustained a broken leg while out eventing. Last, but not least, in the Omega Equine All Star Academy team is Jake Tarrant, an event rider who has big ambitions for his rides Troy and Waldo. The programme will see the students not only riding and training but also demonstrating their skills when it comes to turnout, natural horsemanship, equine anatomy and media expertise. 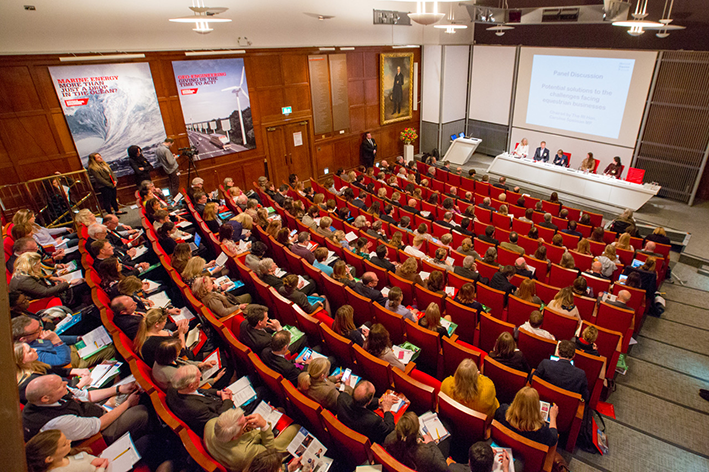 Look out for leading names Charlie and Pippa Hutton, Harry Meade and many more as they guide the students over the series. Tune in to Horse&Country TV on 25th November at 9pm – SKY Channel 184 or Virgin Media channel 298, H&C web and mobile apps, Apple TV, Android TV, Amazon Prime, Amazon Fire, Roku. Sir Peter O’Sullevan (Voice of Racing) established his Charitable Trust in 1997, to raise funds for equine causes. Last year the auction raised £122,000. Each year a perpetual bronze trophy in the shape of Peter’s own racing binoculars is awarded for a lifetime’s contribution to the sport. HM The Queen and HM Queen Elizabeth were winners in 2002 and 2009. 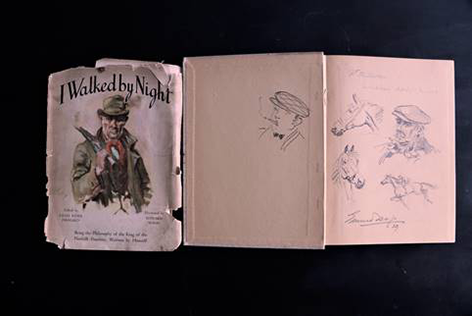 However the highlight of this year’s auction and luncheon on 22nd November at the Dorchester Hotel, is a rare volume from his personal collection, ‘I Walked by Night’ the Life and History of King of the Norfolk Poachers, written by Himself. Original pencil sketches by major 20th century Norfolk artist Edward Seago were given to Peter O’Sullevan by the artist, which gives the book its uniqueness and exceptional provenance. This lively memoir was edited by Lilias Rider Haggard, Norfolk countrywoman herself, daughter of the celebrated Sir Henry, with a feast of illustrations by Edward Seago. It was first published in 1935 and ran into many editions. Seago shared a love of all things equine with Sir Peter, who became a close friend.